"... a little piece of paradise ... best kept secret on the Atlantic coast ..."
Belle Isle Yacht Club has the most beautifully unique location on the Intracoastal Waterway and the southern Atlantic coast. Just south of historic Georgetown, South Carolina, Belle Isle overlooks wide and navigable Winyah Bay to miles of shoreline -- Hobcaw Barony -- that will never be developed because its thousands of acres of pine forest and salt marsh remain dedicated to marine conservation by former owner, Belle Baruch, daughter of presidential advisor and financier, Bernard Baruch . Georgetown itself is rich with history, and Belle Isle Yacht Club is steeped in it from its colonial plantation days through the American Revolution, the Civil War and the first half of the twentieth century. 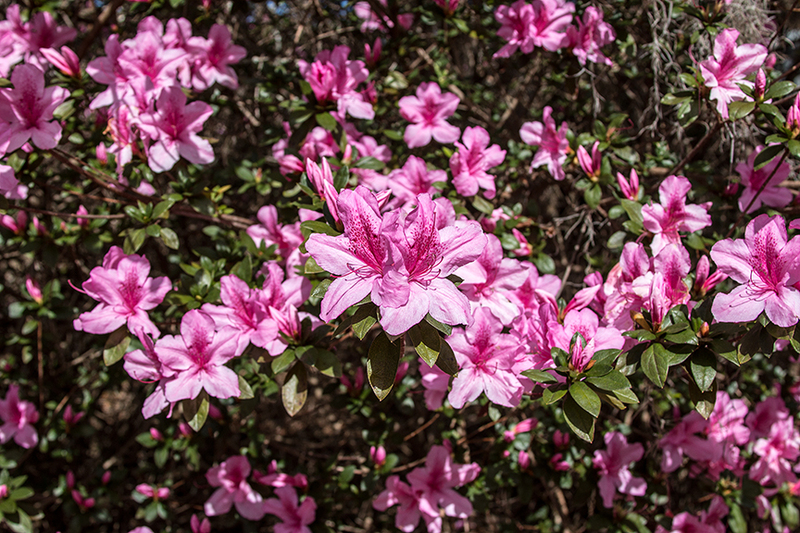 In our midst is beautiful Battery White, a Civil War earthen fortification with original cannons, listed on the National Register of Historic Places and bursting in spring with blooming azaleas that have been here for almost a century. Belle Isle is private, safe and quiet. 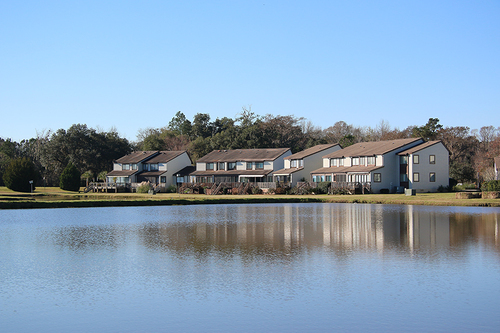 It is a pocket community of 140 condos nestled in hundreds-years-old live oaks and isolated from traffic and development, but close enough to Georgetown for shopping and community activities, and only one hour away from Charleston, South Carolina's most historic and culturally interesting city. As you enter this gated community, you are immersed in a world removed from ordinary distractions with first impressions bringing scenes of natural beauty and serenity. Surrounded by almost 640 acres of park-like gardens, woods, and lakes, many species of wildlife abound in Belle Isle. 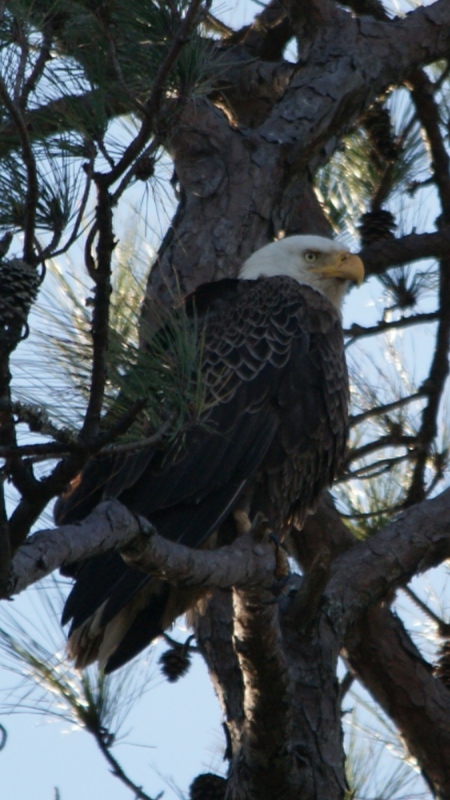 Eagles, hawks, waterfowl and songbirds are seen and heard daily. When you are able to tear your eyes away from the flora and fauna, on a clear day you can see the 1812 Georgetown Lighthouse on North Island, where the shipping channel enters Winyah Bay from the Atlantic. Pleasure boats, commercial shrimp boats, replica tallships and sightseeing deck boats pass through our view far enough away to be scenic without intruding, throughout all seasons of the year. Only ten minutes by car (twenty minutes by boat) from Belle Isle Yacht Club & Marina sits the beautiful and quaint downtown Historic Georgetown District. Visit HistoricGeorgetownSC.com for a photo directory of waterfront shops, restaurants, museums, tours, and places to stay and play. For more information on living in Georgetown, visit City of Georgetown and Chamber of Commerce. Voted in 2018 to be the #1 "Best Coastal Small Town" -- outpacing other small towns along major bodies of water in the nationally -- Georgetown's residents and return visitors year after year let everyone know they are aware of the special value of this place. "During Georgetown's history, many of the unique and colorful characters who lived in the area created lasting impressions on the town and the surrounding countryside. Some of these individuals left details of their lives carved in stone or written in historical volumes. Others, however, left impressions of a more ethereal nature. Georgetown County is reputed to be one of the nation's most haunted places." Every year, for seventy years, visitors from across the country tour the gracious pre-Revolutionary War and pre-Civil War town homes and plantation homes and sites that abound in Georgetown County, in late March/early April. Reflecting the flourishing Georgetown commerce and agriculture, from the early 1700s to the outbreak of the Civil War, these homes and sites represent one of the most dense and varied collections of cultural sites of this period. Most sites are privately owned and shared with the world as a fundraiser for the Diocesan Church Women of Prince George Winyah Episcopal Church, whose building itself is on the tour as a pre-Revolution parish church completed in 1755 for the economically flourishing area, and still serving worshippers today. Many of Georgetown's legendary ghosts will be recounted on the self-directed tour hosted by volunteer docents. 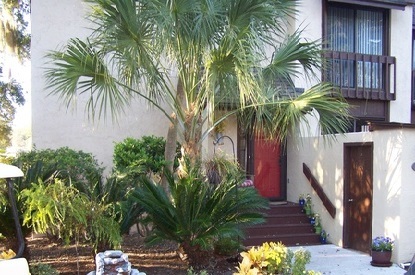 Read more on this website at Plantation Tour. 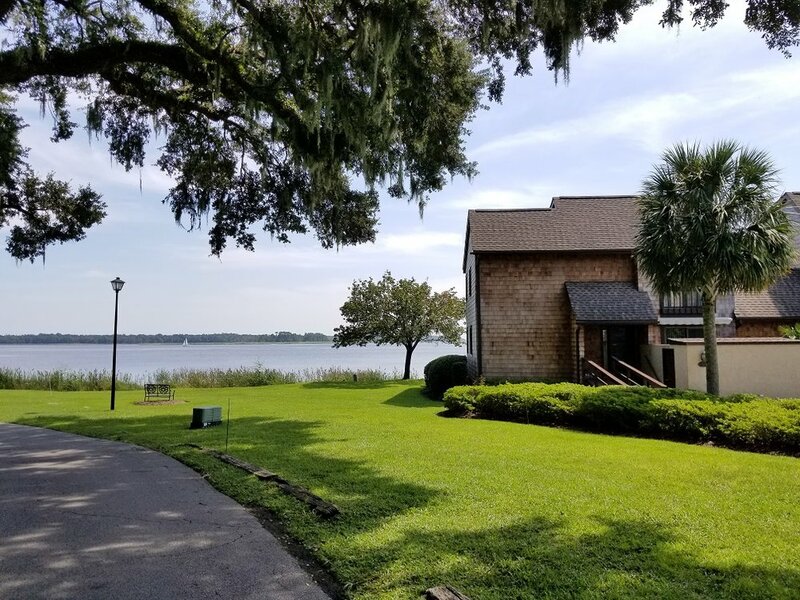 Read the historical timeline for Belle Isle Plantation - Winyah Bay on the SCIWAY, South Carolina Information Highway website featuring the many plantations of South Carolina. Right in our midst -- literally, we mean it -- is a Civil War Confederate armed fortification known as Battery White, on the National Register of Historic Places. Read more on this website at Historic Battery White at Belle Isle. Across the bay from Belle Isle (a fifteen minute drive by car) is a 16,000-acre wildlife refuge, where South Carolina's two largest universities conduct research in the bountiful eco-system found there. Originally a royal land grant in 1718, Hobcaw Barony was eventually subdivided into fourteen individual plantations, and later consolidated into the private hunting estate of Bernard Baruch, a financier and advisor to four American presidents. His daughter, Belle Baruch, spent much of her time at Hobcaw and, in her last will and testament, set the wheels in motion to establish a research and conservation 501(3)c foundation in perpetuity upon her death. Read more about tours of the 70 cultural sites and educational programs at HobcawBarony.org. Pawleys Island is still the laid-back lowcountry resort that the wealthiest families of colonial America founded in the early 1700s when they figured out that the Atlantic Ocean seaside from May to November was healthier than the humid riverside indigo and rice plantations of flourishing Georgetown County, where they lived from December to April. Industrialists from the north followed them to Pawleys, and today it remains free of chain hotels and large condominium development. 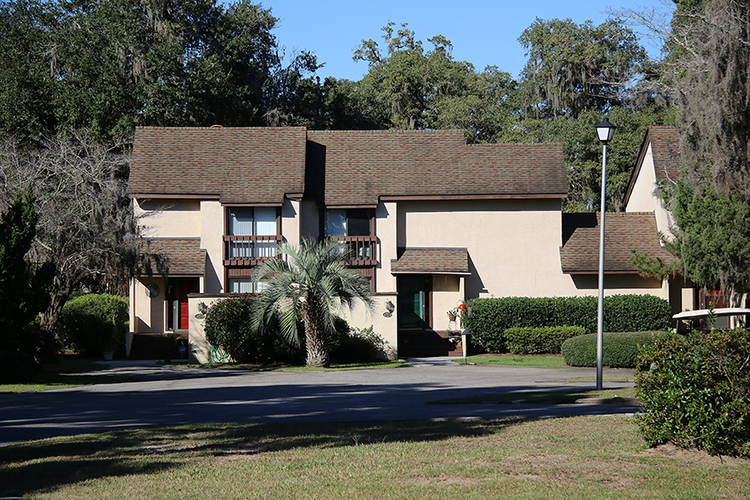 Just twenty minutes away, Belle Isle Yacht Club members own and have access to a classic Pawleys shabby-chic oceanfront beach house for 10-12 months each year. 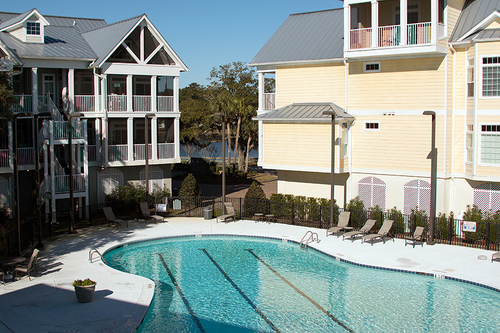 Read more on this website at Pawleys Beach House. Photo: by Belle Isle resident Charles Young, Huntington Beach State Park, January 2018, a night heron. 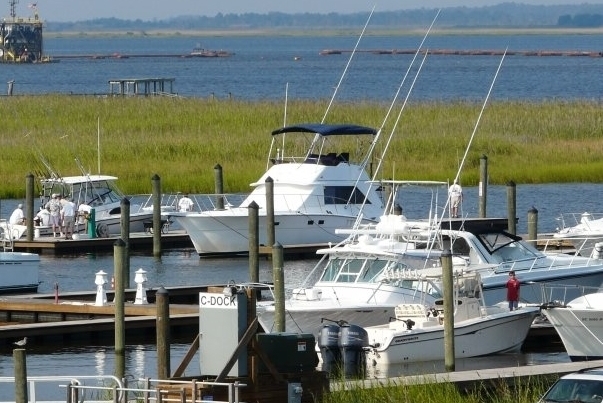 North of Pawleys Island is Murrells Inlet, lair of the legendary pirate Blackbeard, and the "Seafood Capital of South Carolina", from both the fishing and eating perspective. 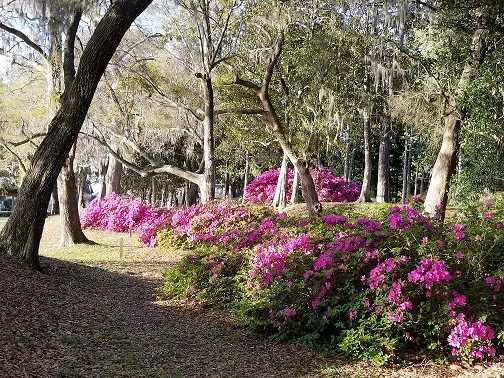 Any visit to the "South Strand" at any time of year requires a visit to Murrells Inlet's two gems, Brookgreen Gardens and Huntington Beach State Park's Atalaya, both formerly owned by world-renowned sculptress Anna Hyatt Huntington and her wealthy arts benefactor husband, Archer Huntington. Huntington Beach State Park is one of South Carolina's best. 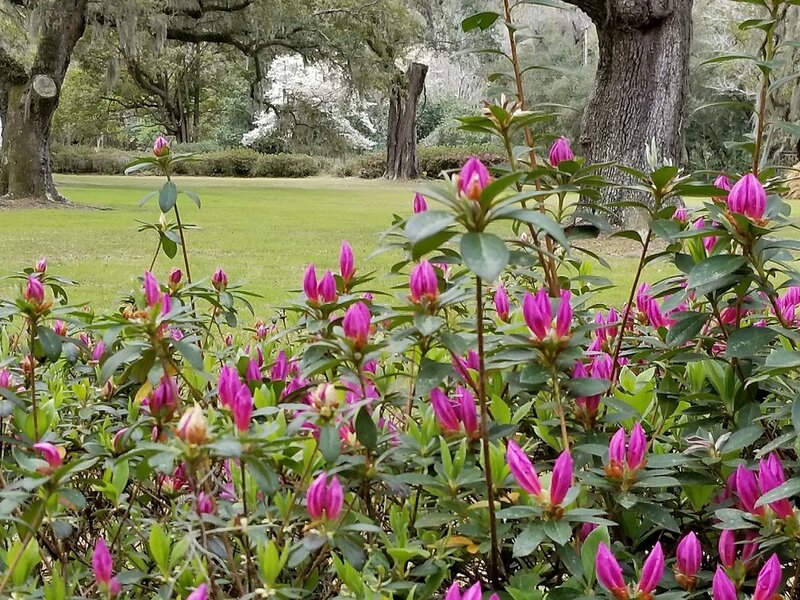 Brookgreen is a favorite respite of beautiful gardens, zoo, and outdoor sculpture exhibits that is treasured by all who live in and visit this part of the lowcountry from all over the world. While there is plenty to see and do all year round, If you plan to be here in December consider purchasing tickets in advance to "Nights of a Thousand Candles" a perennial favorite for holiday lights, set in the gardens. Just fifteen minutes south of Belle Isle is a pre-Revolutionary War plantation home called Hopsewee, a pre-Revolutionary War home of two signers of the Declaration of Independence, Thomas Lynch (Sr. and Jr.). A privately-owned residence that is still lived in can be toured hourly Tuesday - Saturday. Read more at Hopsewee.com. An example of a wealthy plantation culture whose grandeur was sustained through enslaved people, this historic site also highlights the emancipated people who continued for generations to make their homes in this area. While many such plantation mansions still exist as privately-owned homes, this one given to the state of South Carolina by its poet laureate, Archibald Rutledge, is a National Historic Landmark. Read more at Hampton Plantation. 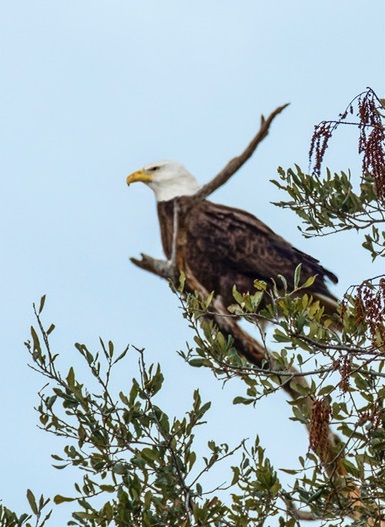 This bald eagle can be seen daily perched in a long leaf pine on Battery White, but you can also see this species up close and in free flight at the Center for Birds of Prey in Awendaw. Photo by Tal Tallon, a resident of Belle Isle. Visiting this awesome outdoor conservation and research center is a wonderful experience for people of all ages. About 50 avian species (common and uncommon to your backyard) are on live display and flying free in a demonstration of free-flying hawks, falcons, owls, eagles, kites and vultures. Plan your visit and read more at Center for Birds of Prey. Not enough can be said about all there is to see and do in Mount Pleasant and Charleston. Read more at Charleston (all things to see and do). A 90-minute drive north of Georgetown is Myrtle Beach, offering everything that Pawleys Island and Georgetown do not: miles of oceanfront hotels, bars and restaurants; campgrounds offering thousands of campsites; thousands of time-share condos; outlet mall shopping; and amusement venues offering every theme that children and teens can imagine.